Furthering my attempts to be my very own in-house barista, I've added another syrup option to my arsenal. I know I've mentioned before that I have a problem with going out & buying coffee. Slowly I'm reigning in on my expensive addiction hobby. Making cold-brew in batches has helped me save money, the simple syrup makes iced coffee a sweeter treat, & now chocolate syrup gives me some variety. It's nice to have choices at home - that way I don't get bored of any one combination. 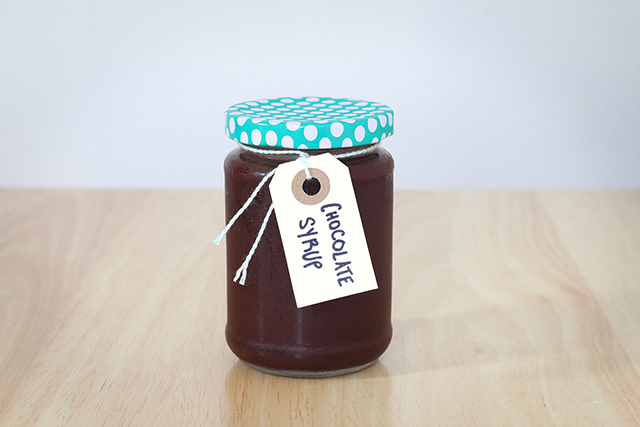 This chocolate syrup mixes nicely with iced coffee for a mocha-like drink. I've made my chocolate syrup on the more liquid-y side so that it blends better in my morning cold brew. If you want to make syrup for topping ice cream, I recommend using a little less than half a cup of water instead. Combine all the ingredients in a small pot & heat over medium-high heat. When the mixture begins to boil, stir constantly for 60 seconds. Remove from heat. Let cool, & store in refrigerator. P.S. 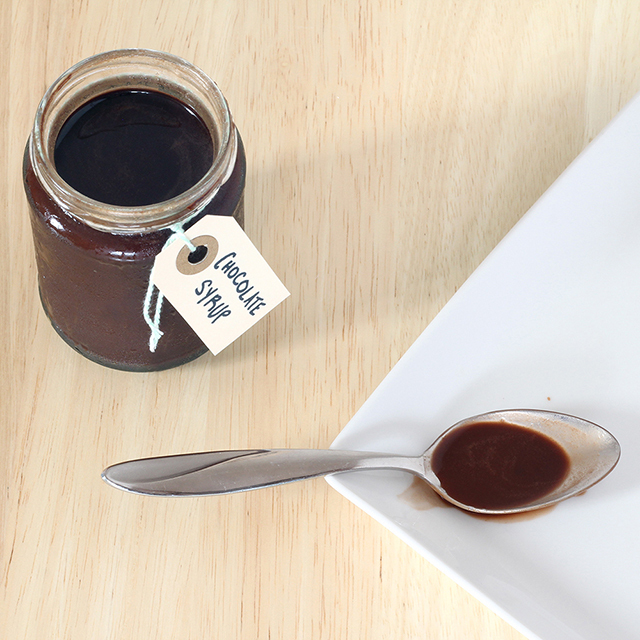 If you think this chocolate syrup is easy, check out this one-step caramel syrup. have the same coffee buying problem and it's really hard trying to reform. Especially when I go back to school which is in a few weeks. My school even had a new building put in with a branch of my favorite cafe right in the center. That means I pass it going out and coming in everyday. Haha you're describing my life! There's literally a coffee shop on each block on my way to work - temptations are too high!